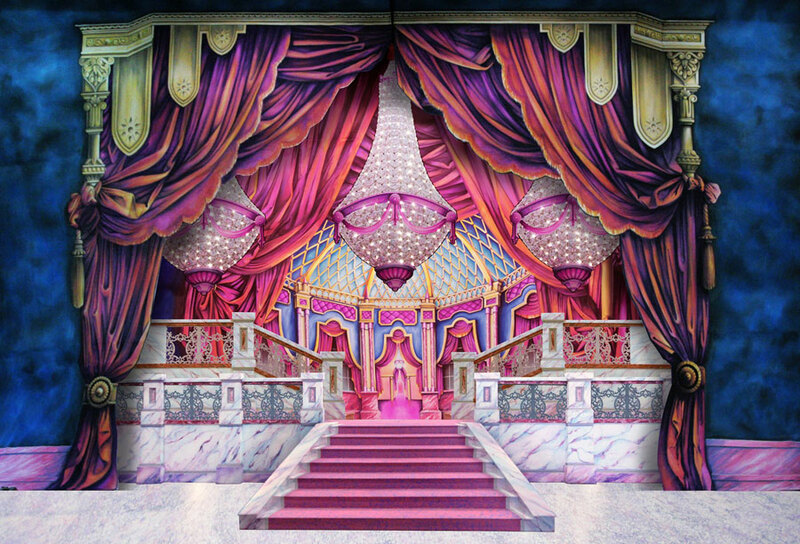 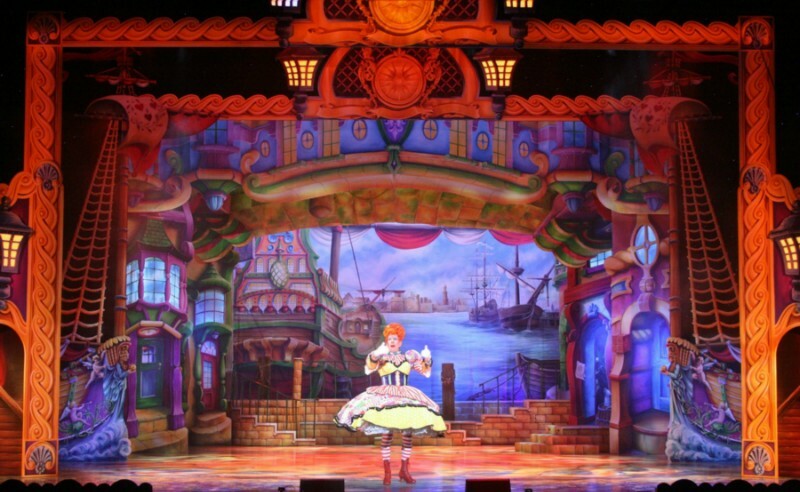 3D Creations have designed and created many many stage back cloths for Pantomimes, Motown shows and a vast variation of stage productions. 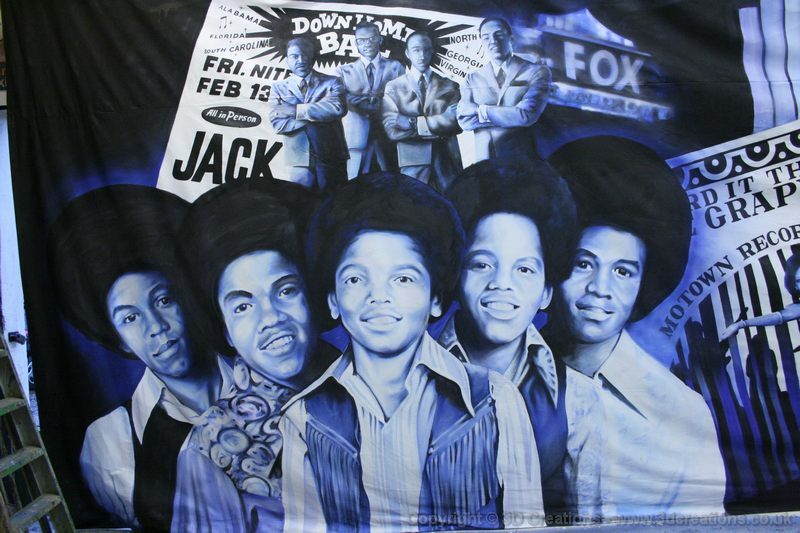 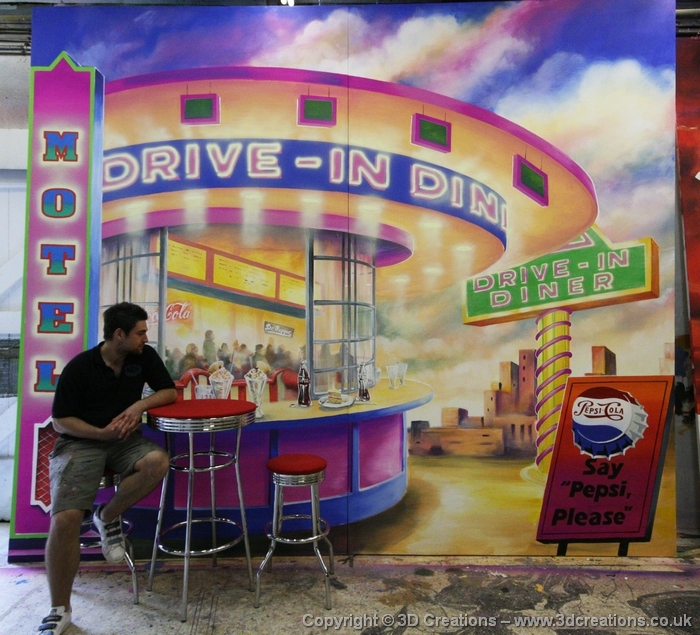 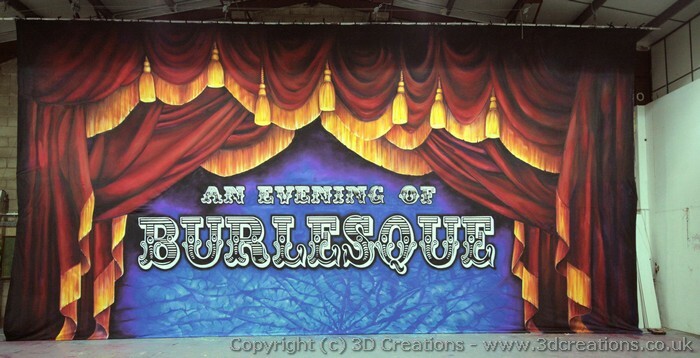 40ft x 20ft painted in ultra violet (UV) backcloth for touring Las Vegas show. 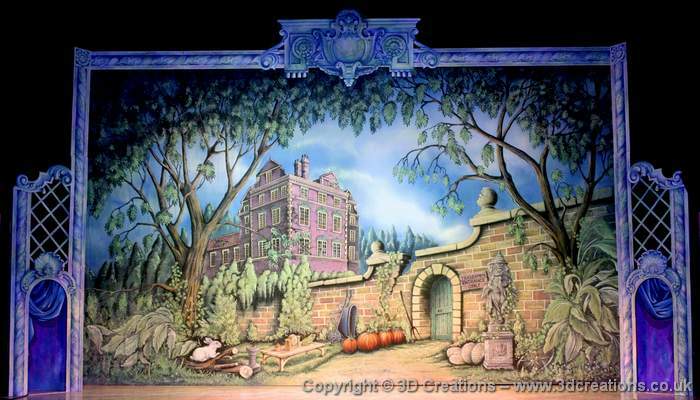 Cinderella Backcloths for Qdos Pantomimes Ltd. 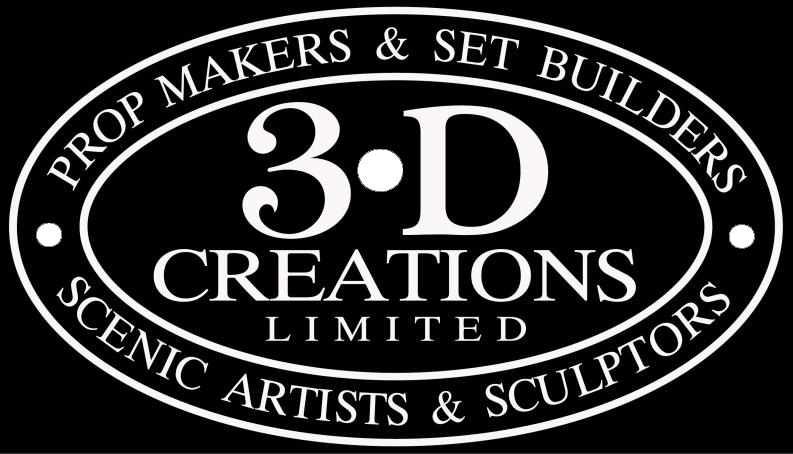 Created by 3D Creations.